Let’s admit it.. When it comes to the fabric of sarees, silk is the most coveted choice of Indian women. India, being the second largest country in the world to produce silk, is a house to many different types of silk fabrics. Almost all the 29 states of India have a unique type of silk fabric of their own. Silk fabric is used to make various traditional clothings like salwar suits, dupattas, lehengas, but most importantly, sarees! 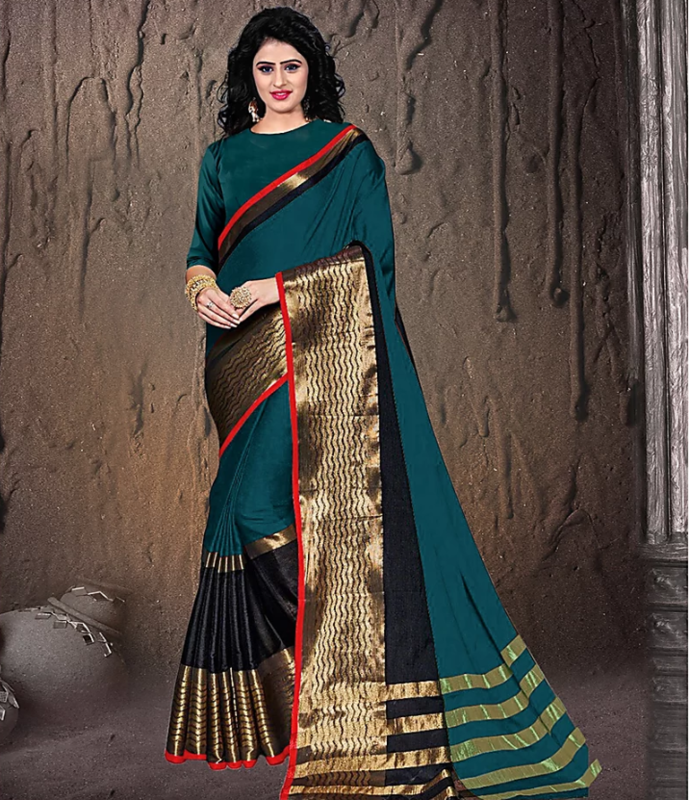 Silk sarees look extremely elegant and royal in all kinds of traditional events, be it a small night time get together, a festival or a big fat Indian wedding! They have always been (and will be!) in vogue. With this post, you will get to know about 5 types of silk sarees and their origin. So keep on reading to increase your knowledge about the silk sarees that Indian women love! I am starting off the post by mentioning my favourite kind of silk fabric, that is Chanderi silk from the lands of Madhya Pradesh. Honestly, I don’t wear sarees, but my mom loves to collect them and I am a fan of her silk sarees collection, especially the chanderi silk ones. Chanderi is the thinnest and the most light weighted silk fabric that you would come across. 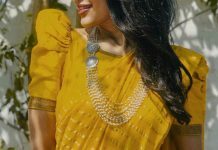 If you don’t feel comfortable in wearing heavy sarees, then you should go for Chanderi fabric which looks very rich and exquisite, yet, it is super easy to drape and carry! The sacred city of temples, Varanasi (or Banaras) is famous for its tons of specialties and Banarsi Silk Saree is just one of them! Banarsi silk sarees have a timeless appeal to them. 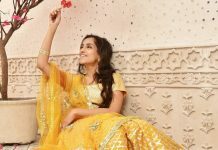 To increase the gorgeousness of banarsi silk sarees, the skilled artisans from Varanasi add zari work as well as zardozi work on the fabric and make the sarees look more opulent. Kanjivaram silk sarees need no introduction as they are famous throughout the world! Made in Kanchipuram district of Tamil Nadu, these sarees are commonly worn by brides in South India. They come in bright and beautiful colours with thick borders that are usually of golden or silver colour. Paithani Silk Sarees are originated from Aurangabad, Maharashtra. They are made with finest quality of silk and are woven by hands. Most of the Maharashtrian brides wear green nauvari (9 yards long) Paithani Silk Saree on their D-Day that look totally breathtaking. Paithani sarees undoubtedly are the perfect wedding sarees! Mysore silk fabric has a very rich history. According to Wikipedia, the production of mysore silk fabric was first initiated by the Maharaja of Mysore between 1500-1600AC. Just like Chanderi Silk Sarees, Mysore silk sarees are also easy to carry. They look simply the best in formal and casual events! What types of silk sarees do you like the most? Share in the comments below!